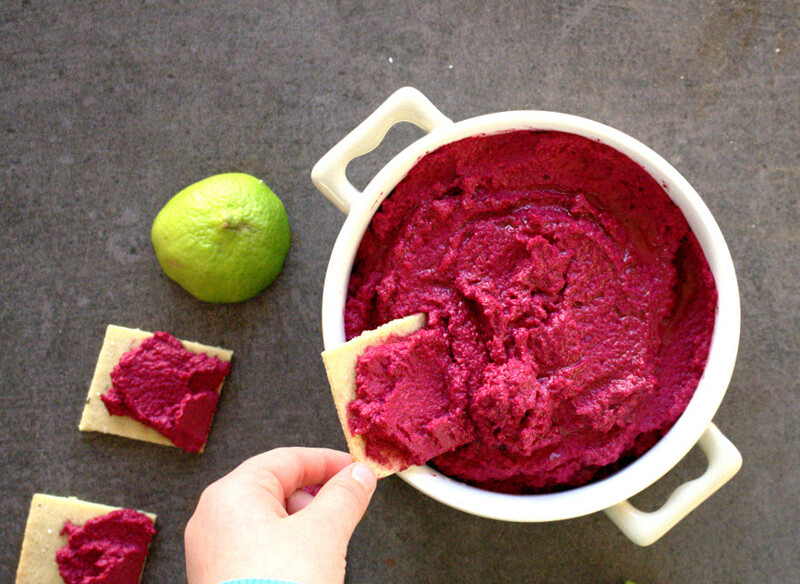 Beetroot & Walnut Dip - A delicious and nutritious dip! They say you eat with your eyes. Then, with this Beetroot & Walnut Dip, I’m in heaven. I love vibrant colours. Before I even tasted this, I just knew I would love it. Beetroot is such a healthy food and I just love the colour it turns everything it touches! My daughter gave this dip a massive thumbs up. It is her favourite colour after all! There are not too many dips we can have on the Specific Carbohydrate Diet (SCD). As chickpeas are not allowed (sob! ), all forms of hummus are ruled out. 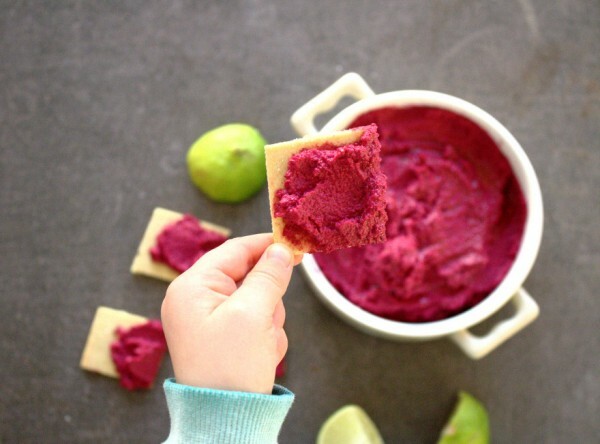 This Beetroot & Walnut Dip tastes delicious on my thyme and sea salt grain-free crackers. 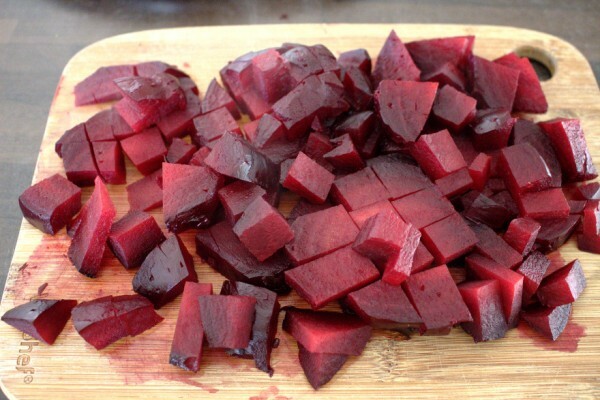 I cooked fresh beetroot from scratch but you can also use the precooked version. It’s very handy when you’re in a rush. As always, just make sure there are no additives or preservatives. Nothing would surprise me as a listed ingredient anymore! If you have just started the SCD diet, then this recipe is not for you. The addition of the tahini makes this an advanced recipe for someone who has seen significant improvement of their IBD symptoms. 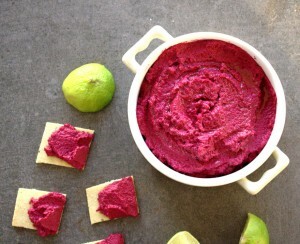 A delicious and healthy dip for your crackers free from: gluten, grains, dairy and refined sugar. A snack packed with nutrients and healthy fats. What more could you want? 2 tablespoons Tahini* *No hidden ingredients, just sesame seeds. Scrub the beetroot well, wash and pat dry. Wrap individually in tin foil and place on a baking tray. Bake for 1 hour, until tender. Remove the foil carefully with oven gloves and allow to cool on a plate. When cool enough to handle, remove the skin with a vegetable peeler or sharp knife. Cut into small cubes. Place the cubed beetroot in a powerful blender with the tahini, walnuts, olive oil, apple cider vinegar and salt and pepper. Blend until you achieve a smooth consistency. You may need to keep stopping the blender and scraping down the sides. Enjoy with grain-free crackers. This will keep in an airtight container in the fridge for up to 5 days. 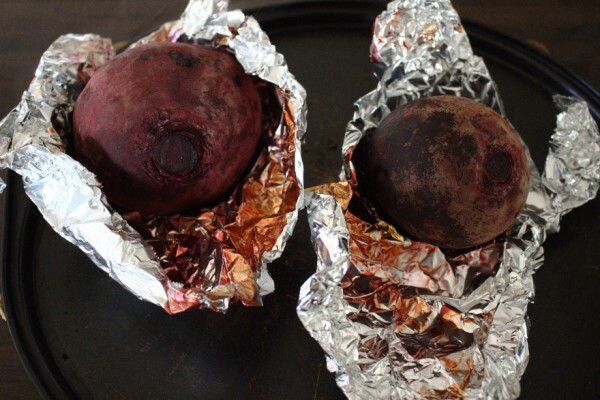 *You can substitute two large precooked beetroot provided there are no additives or illegals.